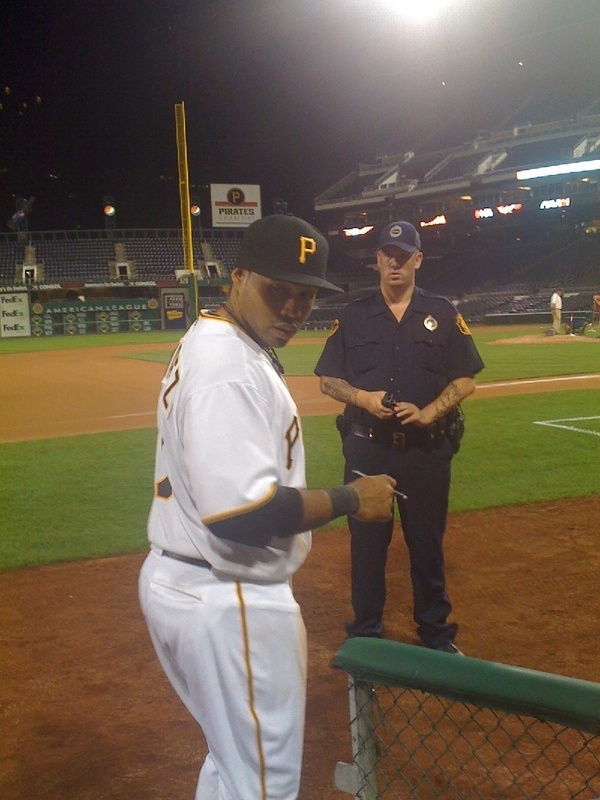 Pedro Alvarez went 0-2 with a run scored in his MLB debut. He also contributed to one of Pittsburgh's six errors, the most in a game since 1988. The losing streak has now hit double digits at 10. Zach Duke was just awful and so was Bobby Crosby and Ryan Doumit. I am in excruciating pain watching this team. The Bucs managed just 5 hits including Jose Tabata's first big league homer, the lone bright spot in a disappointing night. Lastings Milledge had two of those hits including his 14th double. ATTN JOHN RUSSELL: PLAY MILLEGDE MORE! A total of 15,218 people were at the ballpark for this city's biggest prospect in 24 years. That is very disappointing as well. The series against the White Sox continues tomorrow night as the Bucs try not to be swept for the 3rd straight series.